As 2016 draws to a close, the LSEAAS would like to invite you to join us at our Year-End Dinner Party! The venue of La Tapería promises to be a splendid celebratory platform for the holiday season and to close-off a very colourful events calender for 2016. * Returnees who have recently graduated (Class of 2016) and have taken up Life-time Membership are cordially invited to this event. We warmly welcome you to the local LSE community! The Menu includes a free-flow of specially selected red and white wines for the evening! Spanish cuisine is no foreign flavour to our City of perennial foodies but if you think you have had a taste of Spain worth ticking off your bucket list, we highly recommend our Year-End Dinner venue La Tapería by award-winning Les Amis Group in Shaw Centre. 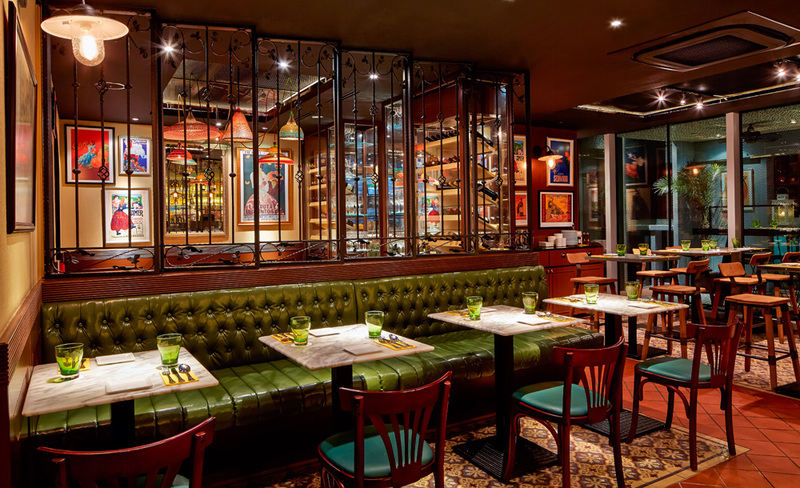 Shoving aside gimmicks and celebrity chefs, this intimate Spanish nook opened late October 2014 is sharpening their knives to bring a wider repertoire to fill the market. La Tapería aims to offer a holistic dining experience with sizzling Spanish signatures, affordable booze and spirited Spanish tunes. For a breath of fresh air, large bustling groups can kickback in an outdoor balcony with a long communal bar-table fitting for up to 20 guests – where old chums and loved ones can nibble tapas over a good drink under dim yellow lights. * La Tapería is closed for us exclusively for the Year-End Dinner. Reservations will be taken on a first-come-first-served basis & we expect this event to be over-subscribed. Please RSVP soonest via the payment link below to avoid disappointment. The venue promises to be an excellent one for an evening soiree – to catch-up with old friends and make new ones.